A DEWSBURY-based vaping company will soon have its products on the shelves of a national supermarket. Doozy Vape Co has partnered with retail giants Asda to sell its e-liquids and tobacco substitutes for e-cigarettes in 46 stores across the country. 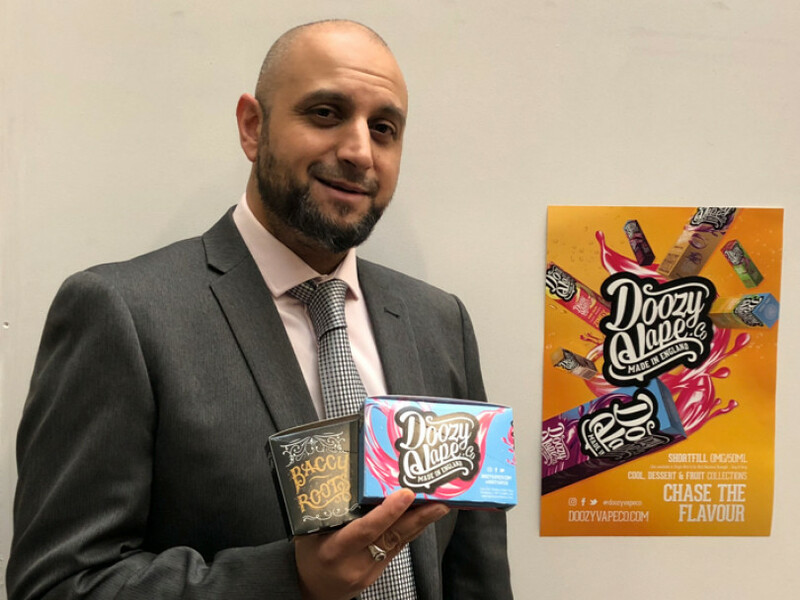 Founded in 2015 by Dewsbury man Imran Ismail, Doozy has gone from a one-man enterprise to become one of the country’s most recognisable e-liquid brands. By some measures, the firm is the third biggest supplier of vape liquids in the country and is now expanding into the USA, the EU, Middle East and Australia. Said Imran: “It’s a proud moment in our journey to introduce our product range to a national supermarket chain. Doozy has 24 different flavours of e-liquids from ‘berry fix’ to ‘melon rush’, all of which are manufactured in the UK. Buying manager at Asda, Leigh Vance, said: “We’re really excited to significantly extend our e-liquid range at Asda.